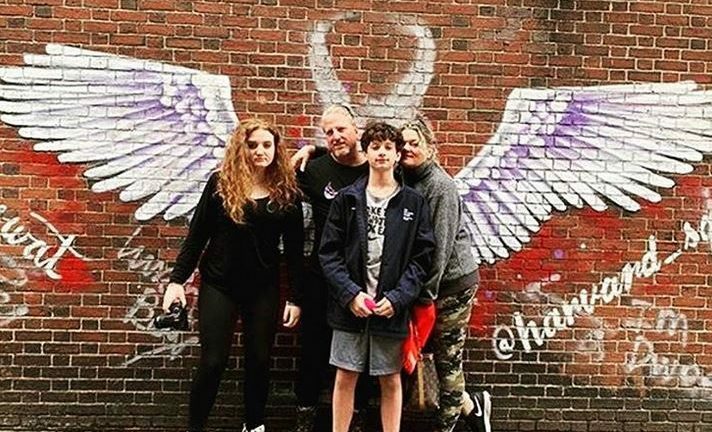 Hi this is me and my family my kids are 14 and 12! My daughter is an amazing potter and teen influencer! My son is an amazing athlete with a focus on basketball! My amazing husband is an award-winning bass player who ran the NYC marathon! We live in Connecticut! I have been a blogger since 2009! Blogging about all things healthy living! I wrote daily living tips for many years ! Then I wrote a book called Peace Salad! I am a hippie at heart! My kids make fun of me a lot but now my teenage daughter is starting to come around ! She now thinks green drinks and meditation are cool. I am passionate about a lot of things! I want to inspire others with natural healing and living! I also love animals and my dream is to one day rescue animals from factory farming! I I am interested about all of you! DM me and let me know who you are and what you are passionate about! 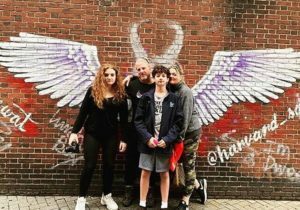 FYI this picture was taken in Harvard Square in Cambridge Massachusetts! PS I can’t talk about my family without mentioning our amazing animals Wheatle and Zuma! Weetie is a very independent girl Who knows who she is and she is my best cat friend. Zuma. Is our new puppy we love him so much!